A Nevada corporation lawyer notes that among the many worries for small business entrepreneurs is whether they need business lawyers. Lawyers charge high hourly rates and many small businesses don’t have much, if any, extra capital with which to pay them. As a result, the typical small business hires an experienced Nevada corporation lawyer business attorneys only when it confronts serious legal problems (like lawsuits). Business lawyers know about issues and problems in starting and managing businesses. They are typically generalists with a working knowledge of legal areas from copyrights and trademarks to taxation and employment, although large law firms employ lawyers who specialize in such areas. There is no need for a lawyer to help in every aspect of business management, but an ounce of prevention is worth a pound of cure. This article covers when businesses can handle legal issues on their own or with minimal assistance from lawyers and when they definitely need professional involvement. Certain matters fairly straightforward or not unduly difficult to learn do not require the services of lawyers charging at least $200 per hour. There are already more than enough expenses in managing a business. Why not save money and do it in-house? Respond to IRS audits. There are three types, correspondence, field, and in-office. Generally, taxpayers can handle correspondence audits unassisted. For field and in-office audits, they should retain the services of tax attorneys. This list of legal tasks small businesses can do on their own is not exhaustive. If the business has sufficient funds or feels a need for a lawyer’s assistance, it can and perhaps should get help. Doing them in-house is cost-effective, but for peace of mind about difficulties lawyers can helpful. A local, state, or federal government files a complaint or investigates for illegal conduct. Small businesses need lawyers for such serious issues but should emphasize their prevention. Prevention does not require hiring a lawyer necessarily, though a consultation does no harm. By the time the business faces a lawsuit, the preventable or avoidable cause has occurred, and the only question is how much to pay in attorney fees, court fees, and damages if liable. For example, when a prospective employee files a lawsuit claiming gender discrimination for questions at the job interview, all the business can do is hire a lawyer to defend the lawsuit. If, on the other hand, it does research on anti-discrimination laws or consults a lawyer before the interview, it knows not to ask whether the applicant were pregnant or planned a pregnancy. That small precaution would prevent an enormous problem. To prevent unnecessary legal costs at the start-up of the business or when it might face a lawsuit, a legal consultation arrangement might be worth consideration. 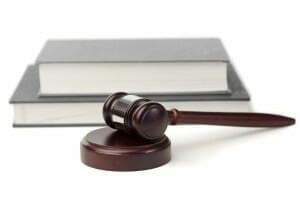 The business would do most of the research and investigation, and the lawyer would provide legal review and guidance. As another example, the business might draft a contract with a vendor and ask a lawyer to review it and to offer suggestions. Or the business might propose questions to ask during an interview and send them to an attorney for (dis)approval. This way prevents the potential problem at a tolerable cost because the attorney simply reviews the proposed questions. For full information, call 775-824-0300 today for a consultation with a Nevada corporation lawyer.